For those of you who don’t know, I work in internet marketing, focusing a lot on search engine optimization. This means we pay a lot of attention to Google. Other search engines are useful to pay attention to, but Google sets the standard. Because of this, their algorithmic changes and website policies get a lot of publicity in the internet marketing world- and that’s exactly how they want it. Google has all the people who manage websites watching their every move, trying to appease them, and talking to their clients, colleagues, and even friends and families all about Google. Of course, the spotlight comes with a lot of criticism, but no matter how unhappy webmasters, designers, marketers, and even users are with Google’s overarching business strategies, it would take a lot to knock them off their throne. 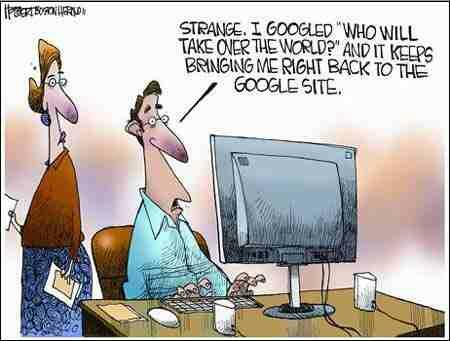 The truth is, even those who prefer other search engines often use Google out of convenience. Maybe it’s their default search engine- hmmm… guess Google was smart when they created a browser, made deals with androids, and implemented other strategies to cement themselves as an authority in all things internet. With Google’s practical monopoly on internet search, webmasters are designing their sites to Google’s specifications. Google has stated that longer content is better, so priority is on longer content. But they’ve also repeatedly maintained that their focus is on user experience. So it is up to users to make it known what they enjoy if they want to make sure the internet is shaped in a way they enjoy. How do users do that? If you love a website, support it by spending your time there. Don’t let it be that restaurant you only went to on special occasions, then learned that it had gone out of business sometime between one birthday and the next. Unlike fancy restaurants, it doesn’t cost you to visit a website. Stop by, be a part of the community. This lets the owners and the search engines (who can see site traffic) know that the site is doing something right. A site experiences two benefits when their site is shared. The first is any traffic that results from the sharing. If you read a funny story, you’re probably going to tell someone about it. Make sure to mention where you read it. Sharing on Facebook, Twitter, blogs, – anywhere online where the mention is accompanied by a clickable link, makes it all that much more likely that people will follow your lead and go to that site. And, if you enjoy something, chances are, someone in your friend circle will too (unless all your friends are fake profiles or strangers added for the sake of gaming apps, and you really have nothing in common with any of them). The second benefit a site experiences when their content is shared comes in the form of site metrics. Though search engines (especially google) are limited in what they can see when it comes to social media websites, shares, likes, and follows are all measurable to a certain extent. If those numbers are consistent (or even better, consistently improving) that creates a trickle-down effect. If people feel that something is worth sharing, then there is obviously some form of user value there. Of course, another way users can impact what is on the internet is by adding to it. Creating your own website, games, articles, stories, webcomics, or other content is a great way to leave your mark on the internet. Of course, getting people to find that content can be difficult. You’ll have to share it like crazy, and hope that the people you share it with share it with their networks. I would suggest you focus on reaching people in personal formats such as social media, rather than trying to get the site where your content is hosted ranking highly in the search engines. If people find your site because other people they liked shared it, then they’re more likely to return. So share on social networks. Reach out to bloggers. Person-to-person interaction will result in your content being more impactful to those who find it. If the search engines truly try to rank content users value (as shown by traffic, interaction, and links), the rankings will follow. Then perhaps then we’ll be one step closer to a web-shaped google, rather than the google-shaped web (and world) we seem to be heading toward. Posted on November 1, 2014, in Blogging and tagged content creation, google, internet, search. Bookmark the permalink. 2 Comments. Hi nice piece, would you guess blog on my business site web4mobile.ca using this article? Thanks for the request Alan, but I’m not guest posting right now, and I don’t want my content to be flagged as duplicate by being on multiple sites. You’re more than welcome to link to the post though.